The expressive Unika collection designed by Nikki Chu offers a range of chic patterns and a luminous color palette. 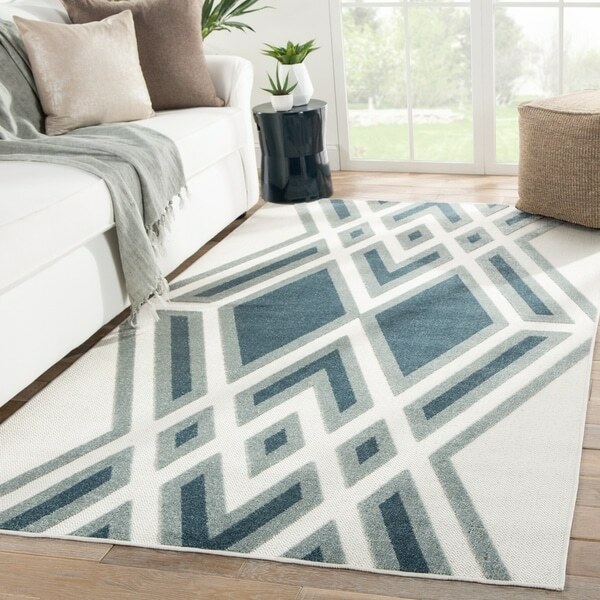 Inspired by high-low flatweave constructions, the Tasma area rug boasts a textured and bold geometric motif in duo-toned blue on a white ground. Crafted of durable and weather-resistant polypropylene fibers, this indoor/outdoor accent offers transitional style to any space. Dimensions 114.0 In. X 90.0 In. X 0.33 In.